Shirley Willihnganz, Louisville, KY, USA | The Secretan Center, Inc.
After completing her Ph.D. in Organizational Communication at the University of Illinois, Urbana, Shirley Willihnganz came to University of Louisville in 1985 as a faculty member in the College of Arts and Sciences Department of Communication. Shirley has served the College of Arts and Sciences as Associate Dean for Personnel and Acting Dean of the College. She has served on many college and university-wide committees as well as several community boards, including: Women4Women, the J. B. Speed Art Museum, Leadership Louisville, Greater Louisville, Inc., and the Muhammad Ali Center. She is also involved at the state and national levels with organizations in her field of communication as well as associations of higher education (e.g., Association of Public and Land-Grant Universities). Shirley Willihnganz’s instructional areas include Business and Professional Communication, Organizational Communication and Health Communication. Her research area is communication concerns in large, complex organizations with expertise in the area of communications in health organizations. She has served as a consultant to Humana, Churchill Downs, Gannet Direct Marketing, United Parcel Services and the U.S. Postal Service. 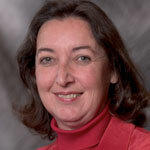 In May, 2004, Dr. Willihnganz was named Executive Vice President and University Provost at the University of Louisville after serving in an acting capacity beginning in Spring, 2002. She resides in Louisville with her family.